Everything you need to have a successful florist website. Custom shopping cart written specifically for florists. Affordable eCommerce Solutions for Real Florists. The Media99 Florist Website Package pricing is simple. You don't need a decoder ring or financial assistant to find out if you can save money while growing your business. A few simple clicks of the calculator will let you know how your invoice will look. We have the most competitive rates in the florist. No tricks. No hidden fees for you or your customer. No gimmicks. Professional Florist Website Design and hosting all in one simple package. In today's world few people are very far from their favorite mobile device. We use our smartphones and tablets to check Facebook, upload images to Instagram and Pinterest, make reservations at a restaurant or let a friend know we are running late. Why shouldn't your customers be able to order flowers from these same devices? 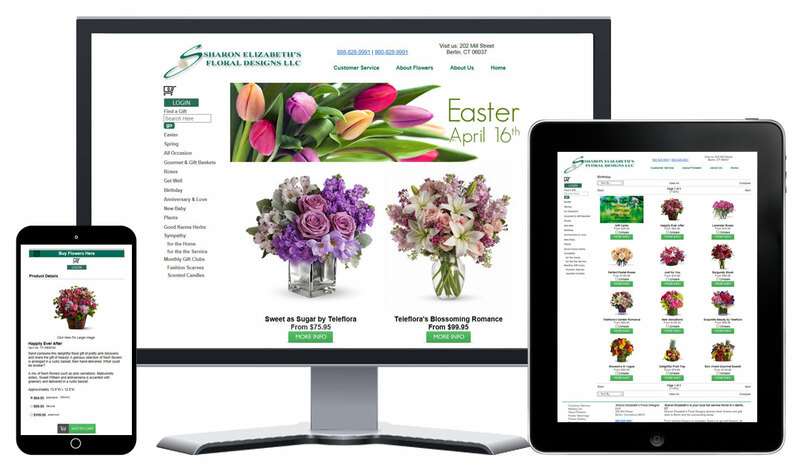 By incorporating responsive website design into our client's florist eCommerce websites we have eliminated the need for costly apps or other alternatives in order to allow your customer to order flowers from your shop. Your Media99 florist website responds to the screen on which it is rendered. 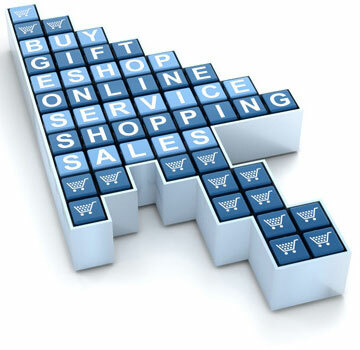 This helps your customers find the flowers and gifts they want and then complete their order with ease. 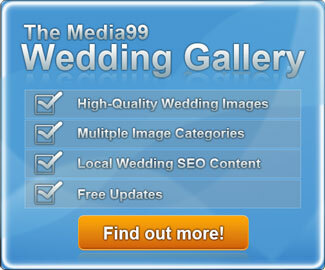 All of our florist eCommerce customers have the option of having the Media99 Florist Wedding Gallery incorporated into their florist eCommerce website. This turn-key wedding flower content and lead generation project has resulted in increased quality wedding sales for our client's who have chosen to use this flexible, evolving website feature. Our gallery is a collection of high-quality digital photographs of bridal bouquets, centerpieces and more. It includes a bridal checklist for your wishing brides, branded with your florist's name, keeping them returning to your florist eCommerce website to look at more options to make their dream day come true. With two options, Standard and Custom, both you and your bridal client win.